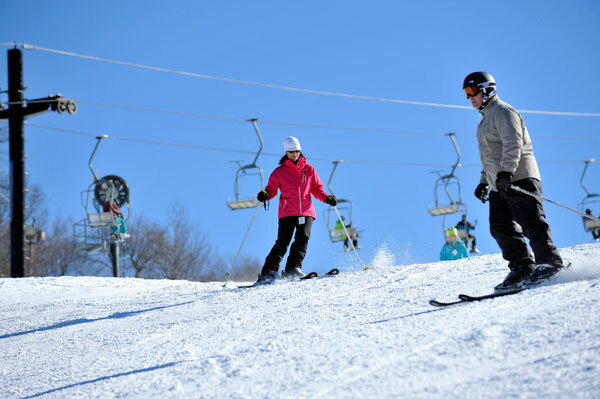 On snow days, students & teachers from closed K-12 schools ski for just $10; ski or board rentals are also just $10! *Offer valid for the day session only – excludes Christmas holidays, Martin Luther King Day and Presidents Day. Students & teachers can also enjoy tubing for only $15! For more information on tubing session times, click here. Military discounts apply to active duty U.S. military personnel only, and can be redeemed at any ticketing window seven days a week. Military ID is required. Jr./Sr. slope ticket prices are offered as the discount. Not valid during Holiday Period – December 17th-January 1st or March Madness – March 4th – Close. 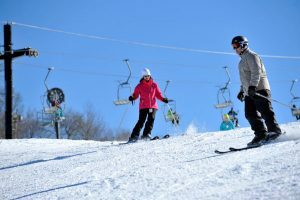 Learn to Ski for Free in February! Free Beginner lessons offered February Monday-Thursday (non-holiday), starting Monday, February 4th, with purchase of rental equipment. This is valid for day sessions only. Offer Valid for ages 8 and older. Please note that this offer does not apply on President’s Day Monday. March Madness begins Monday, March 4th, and runs through the remainder of the ski season. During March Madness, skiers and snowboarders receive 25 percent off all slope tickets, lessons and rental equipment. This special deal is available seven days a week and cancels out all other discount promotions, except for the school snow day special. College students receive $5 off regular ticket prices Monday-Friday, non-holiday. Valid ID required. *Excludes Friday nights & holidays.